Hello Rick, how are you? Hello Marion, how are you? Wie geht´s dir? 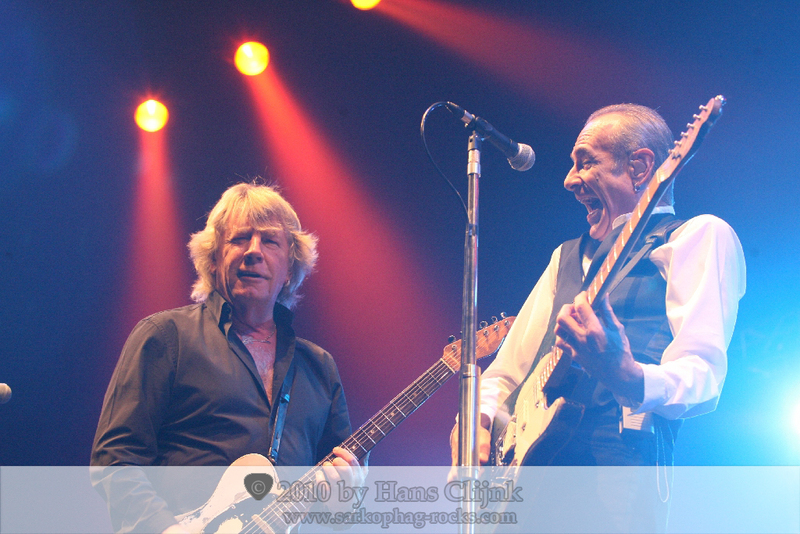 In 2012 you are celebrating 50 years Status Quo - an awesome and rare anniversary for a band – congratulations to you and your band mates! 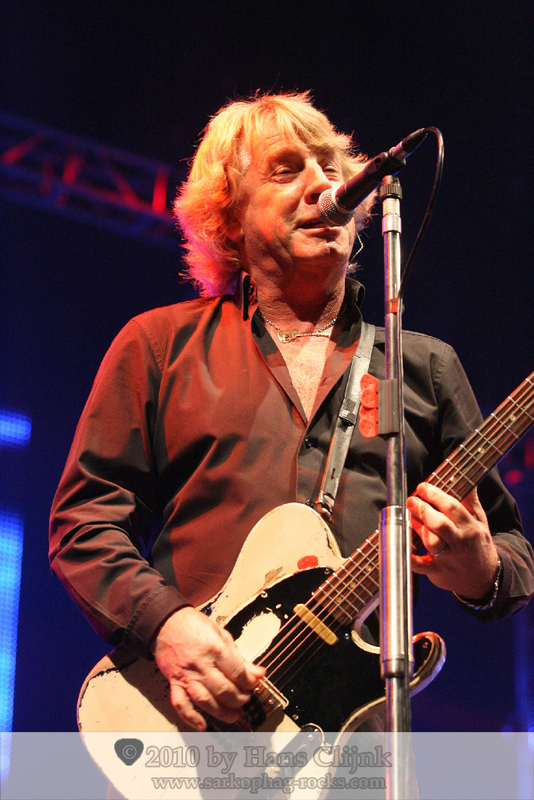 On November 29th your double DVD named Hello Quo! will be released here in Germany. Could you please tell our readers what they can find on this DVDs? Well it’s a documentary DVD about the whole life of Quo since the very very beginning. There’s some great footage of us that´s never been seen before, in the very early days, when we look like young boys which in fact we were young boys then. I don’t think that anybody has ever seen this footage before. There’s a lot of good informations about what really happened with the split with Alan Lancaster and John Coughlan. There is a lot of shows, a lot of footage actually from very early TV shows in Germany, from the Beat-Club and stuff like that. And I think overall it gives people a very good insight into Status Quo like never before. I think people will understand and appreciate our thoughts and our feelings about what´s happened, and how our career has gone over the years. There’s also a lot of people who are saying very nice things about us. For me it’s very nice to watch it, and I think it kind of wrapped the whole career up into one good colourful entertaining documentary. That sounds really interesting. I'm an older one, the music from Status Quo attended me nearby my whole life, and so I'm very curious to watch Hello Quo! How did you feel as you compiled the whole material with Alan G. Parker, and you passed all these years in your thoughts again? Yes, we went into quite a lot of depths and spent a lot of time filming it. It's a lot of nostalgia there, a lot of thoughts from the past and particularly when we all get together again as the original Status Quo, the four members. I mean that hasn't been seen for 30 years, actually playing together, we haven't play together for 30 years. We just got into one room and plugged in and said: “alright well let's just play” and we just played. It´s very interesting because it's kinda laid-back compared to the Quo now. It's very very slow and very levelly, how it really was in the 70ies, because we were all smoking marihuana then and everything was slow down. Why we were called “The Frantic Four” I don´t know because it’s nothing like the same style of pace that it is now. 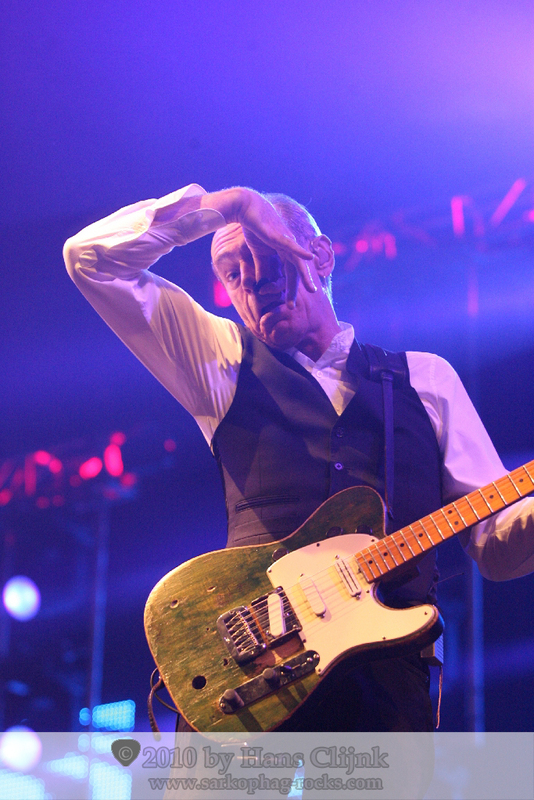 But I think just for Quo fans who’ve been around for 20-30 years, whatever, it is the most amazing piece of footage they will have ever seen from us. 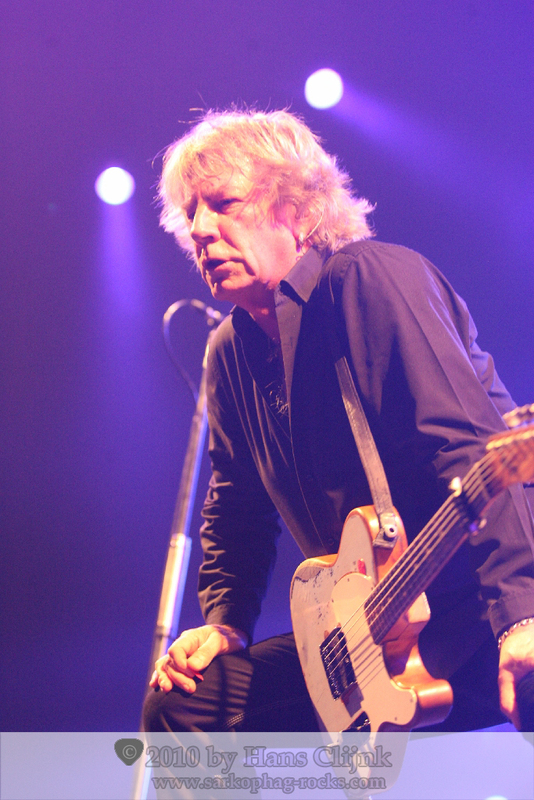 Well Alan Parker has done documentaries with a lot of his favourite bands over the years. And I think for the last 3 or 4 years he’s been wanting to do a documentary with Quo. I think we all have been too busy or perhaps we felt that the time wasn't right. And then it get round to this stage of our career now, where I believe this is the time to let people know exactly what went on. Alan is a very good man to work with, it is very easy to work with him, and he is very dedicated to what he does. I know that Quo has been one of his favourite bands. So it really just came along with the right time. Alan Parker came up with the idea for the title because it kind of rolls all the albums into one which is the graphics for it as you see it. It’s a very good looking DVD sleeve, I'm very pleased with it. I just think it’s the right title for it – Hello Quo! 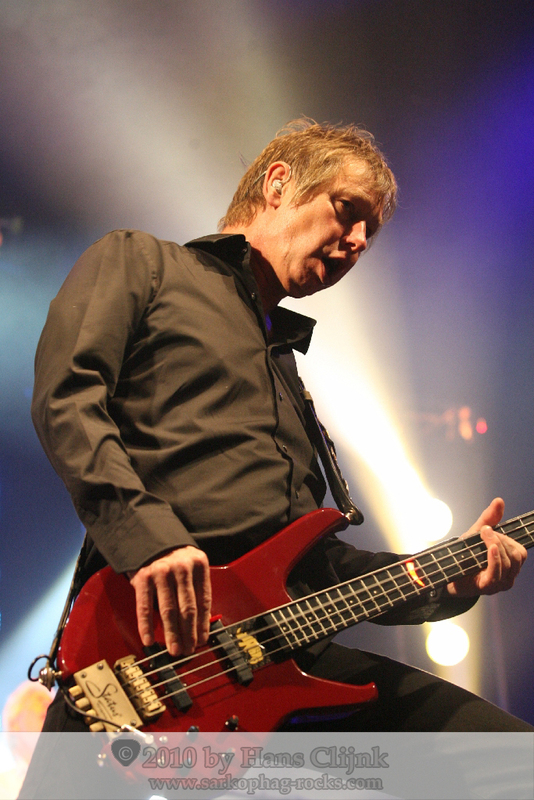 - because people haven´t really seen Status Quo as they're going to see them in this documentary. So really I thought in a funny kind of a way it is an introduction too how things really have been over the years. It’s better than a little bit here, a little bit there, this interview, that interview... This is the definitive interview where you get to learn just about everything that happened in truth! What comes in your mind first when I ask you: which part is the one for you with the most emotions on Hello Quo!? Well I mean it has to be said, the actual meeting up with John and Alan and for us actually just to be in a room together, not alone playing anything, but just to be in a room together... because there´s been quite a lot of arguments and really bad feelings for a long time now, between Alan and myself and Francis. You know it's a kind of thing: when you get to the stage of your life you don’t want anything like that. Life is too short to have this bad feelings. And so to parry all that and forget it, close the door on it and all get together and have a laugh and play like we used to - I mean that was a very emotional moment for me. Also there’s some footage on there, which people will have never seen of us, really in the early days, doing some very very stupid videos. I just think for me the documentary is interesting as much as because you never know what’s gonna come next. Because you think: well that was good, what's next? Then you see something else you haven´t seen and then you hear something you´ve never heard before. 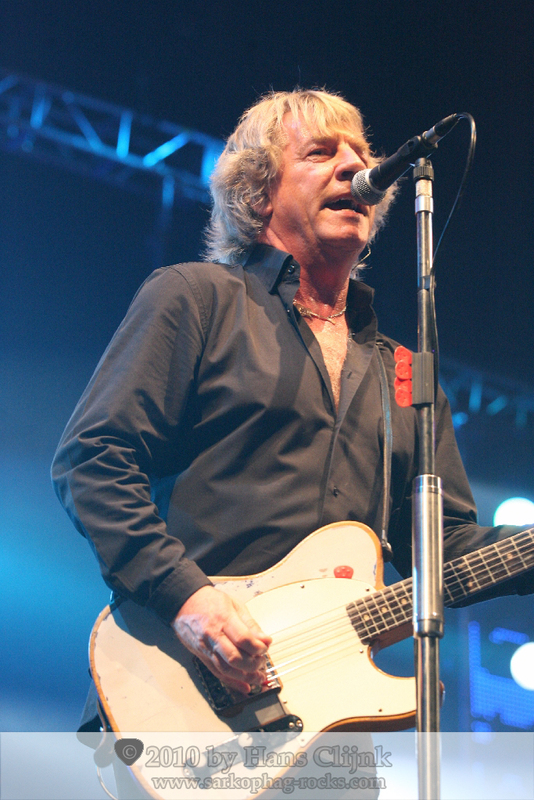 It´s compelling, for the Quo fan it is a compelling DVD. In a few days your next tour will start and even after 50 years you sound absolutely great and fresh. 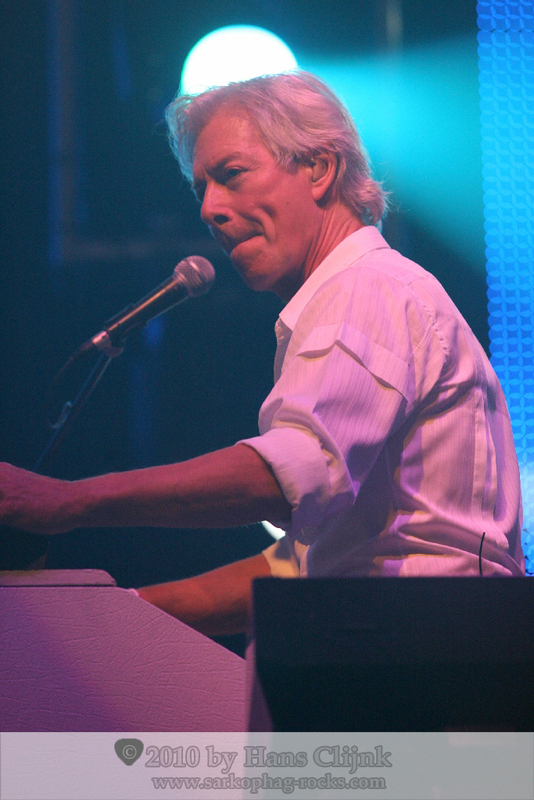 Am I right that you still have a lot of fun to make music, and that you enjoy it very much to play live for your fans? Well of course we enjoy it to play live. I mean when it's good it's really good and some nights when it is bad it's really bad but you have to make out that it is really good. Sometimes, some stage, the sound is not right for some reason, whatever, things don’t sounding properly but you still have to make a good gig out of it. Sometimes when it’s really right and the sound is great, there is nothing like it. It´s just incredible to play live and it always has been. It is always what I’ve wanted to do, always, since I was a young boy. For me to still be doing this after 50 years is just incredible. One thing I have to add: it doesn't get any easier as you get older. I mean I’m 64 actually tomorrow, it's my birthday. You know, when you get your mid 60s and trying to make it with the same energy that you had... let´s say... 20 years ago it’s quite difficult to do. I still love it, it’s a great thing to be on the road and to play. People often say: don't you get tired to play the same old songs? It's not like that, because all over we're playing the songs, it's not for us, it's for the audience and every night it is a different audience. So for us when we go out there it is a new gig, because of a completely different audience. It's not a case of playing the same old songs, it's delivering, and seeing the looks on most people's faces and seeing them clapping and jumping and having fun - to me that is everything. It’s not so much being difficult for us. I think when you see the audience is not appreciating what you're doing anymore and when they're not jumping up and down and when they're not enjoying it, then is the time to stop! Thank you very very much for your time. We wish you all the best and a lot fun on tour!!! My pleasure. Thank you. Dankeschön, tschüss!